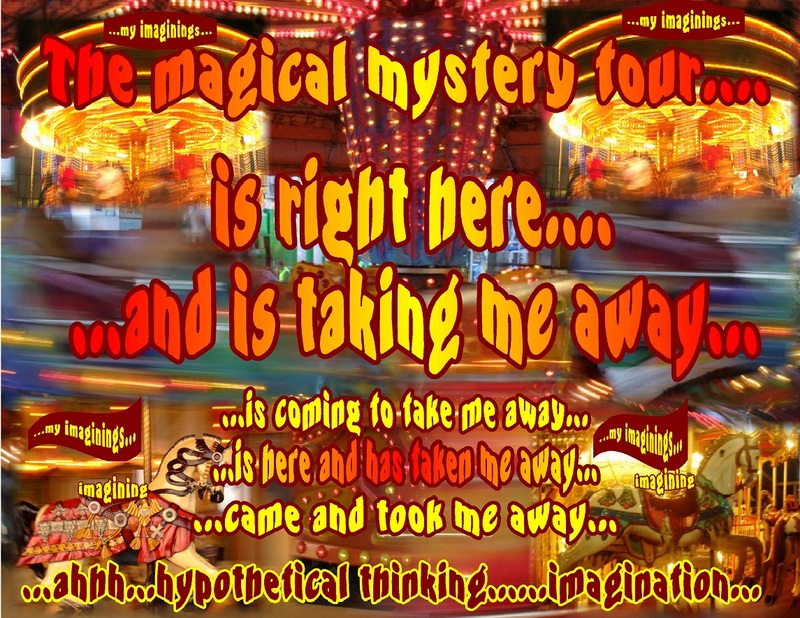 Sometimes habitual “hypothetical thinking” can be a bit like an illusionary “Magical Mystery Tour” on a carousel. If it’s positive hypothetical thinking, maybe it’s like one of those wonderful, smoothly flowing, colorful horses…an exaggerated illusion, but still pleasant. If it’s negative hypothetical thinking…well, maybe a beat up, damaged horse with a few splinters or spots of grease and a bumpier ride. Once we start noticing our thinking, we may see the type of ride we’re going to get… before we get on….or perhaps getting on anyways..then the carousel starts and we’re on for the duration…. and the feelings then become the challenge. This post is a variation on the following 4 or 5 posts…all having to do with imagined or hypothesized thinking.…Particularly troublesome can be the more negative thinking…thinking that might lead to feelings of ….”not good enough”, “not loved or valued or appreciated or accepted enough”, “not smart or talented enough”… etc etc etc….all tender spots in many of us. This entry was posted in Awareness, Hypothetical thinking, Intention, Life, Persistence and tagged Awareness, Hypothetical thinking, Intention, Motivation, Persistence. Bookmark the permalink.